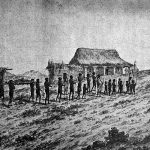 The Sudcalifornian missions endure as testimony to the congregation of men from different parts of the world. Once construction of the missions was underway, the surrounding areas began to populate. San Ignacio is such a case. 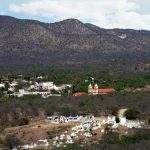 The site called Kadda-Kaaman (Carrizal Creek) situated in the Sierra de San Vicente, was discovered in 1716 by the Italian missionary Francisco Maria Piccolo, located in the town of San Ignacio in the northern part of the state. The mission was founded in 1728 by the Mexican Jesuit Father Juan Luyando. The Croatian Jesuit Father Fernando Konsag started construction of the church and building was completed in approximately 1786 by the Dominican missionary Father Juan Crisostomo Gomez. 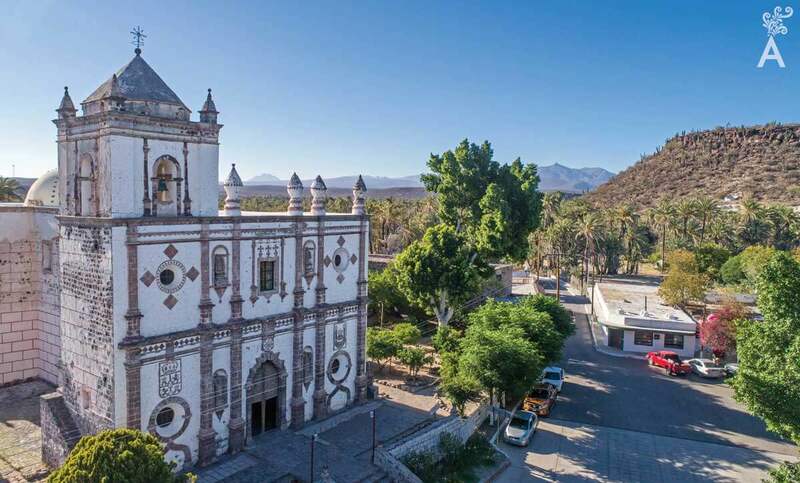 Of all the missions of Baja California Sur, this is the largest architectural complex consisting of the main temple, the missionary precincts and the atrium. The main nave has two side entrances that open out to the mission courtyards. Rectangular windows provide illumination and are situated under a cornice that unites the columns with the semicircular arches that support the chapel ceiling. The mission entrance is sober and harmonious. The front door is of wood construction enclosed in stone and topped by an arch with a stone shield of the Dominican Order. The south façade is simple. There is access to the main nave and the sound of the bells and the towering bell tower are easy to appreciate from here. The iconographic scheme of the center of the great altarpiece is triptych. The first part of the panel is a shrine to the Heart of Jesus. The second features a wood sculpture representing San Ignacio. The third is an oil painting of the Virgin del Pilar framed in the shape of a medallion. In the left panel of the altar, there is an oil painting of St. Vincent, another of Saint Joseph and the infant Jesus, and a third small painting of Saint Peter and Saint Paul. In the right panel, there are framed oil paintings representing Saint Thomas Aquinas, Saint John the Baptist and a bishop. 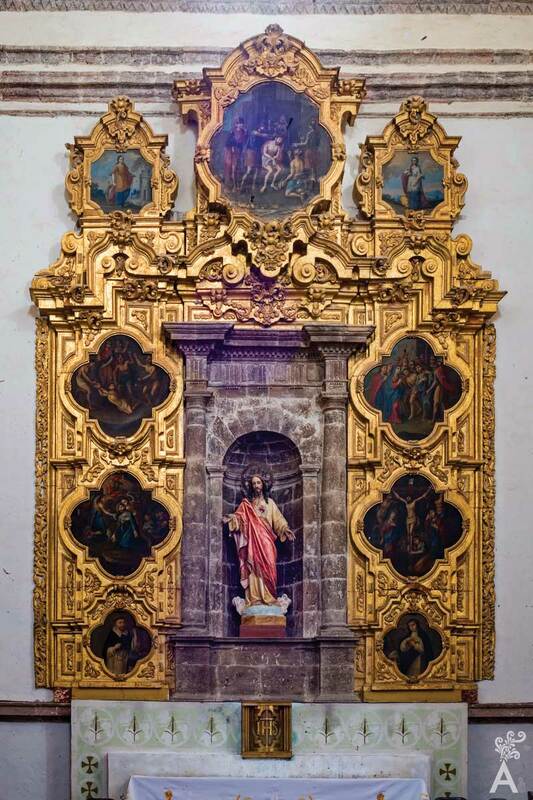 The entire frame is made of gold painted wood in good condition. The body of the nave contains more works of art to be appreciated: a statue of the Virgin of Guadalupe, a painting of the birth of Jesus, one of Pope St. Pius V, another of the Annunciation, one of James the Apostle, an oil painting of Jesus Christ before the doctors of the church, the baptism of Jesus and the image of Magdalena. 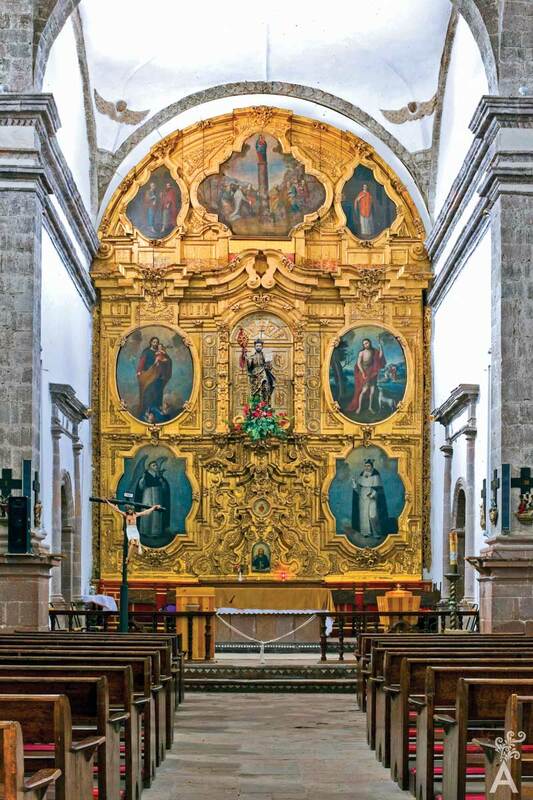 Finally, moving left to right on the nave altarpiece reveals a carving of the Sacred Heart of Jesus and oil paintings of a Dominican saints, Santa Barbara, Santa Catarina, Santa Ines and several other unidentified saints. Missions such as San Ignacio serve as a symbol of Mexican heritage and South Californian art and are a source of great pride.